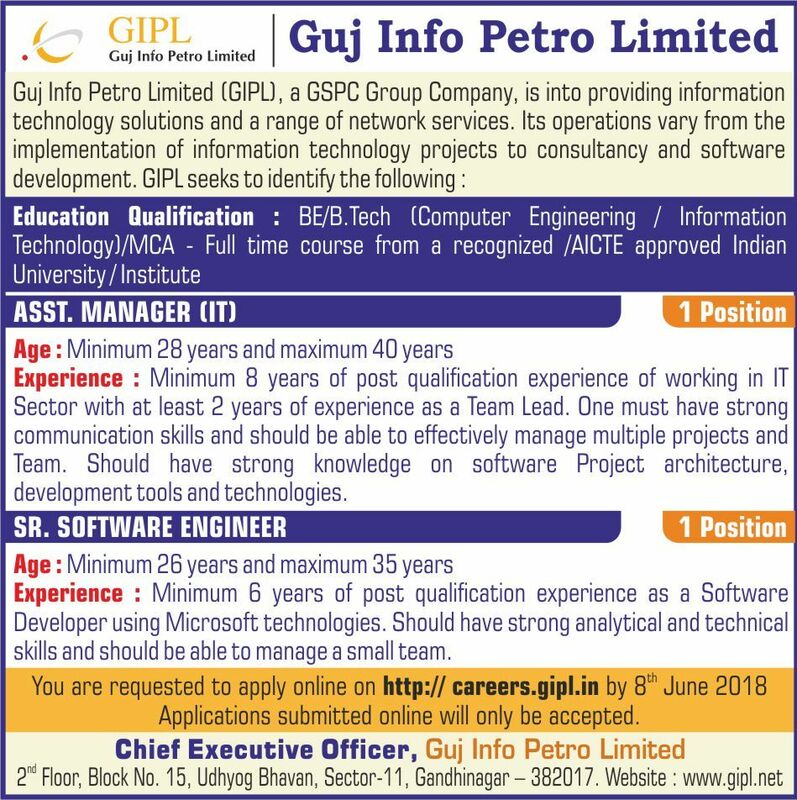 Guj Info Petro Limited (GIPL) has published Advertisement for below mentioned Posts 2018. Other details like age limit, educational qualification, selection process, application fee and how to apply are given below. Experience: Minimum 8 years of post qualification experience of working in IT Sector with at least 2 years of experience as a Team Lead. One must have strong communication skills and should be able to effectively manage multiple projects and Team. 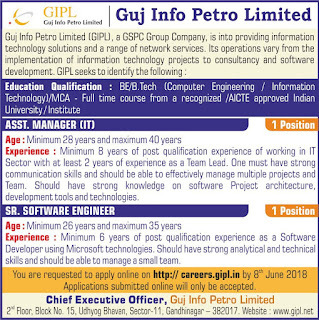 Should have strong knowledge of software Project architecture, development tools and technologies. Experience: Minimum 6 years of post qualification experience as a Software Developer using Microsoft technologies. Should have strong analytical and technical skills and should be able to manage a small team. Educational Qualification: BE/B.Tech (Computer Engmeenng / Information Technology) MCA - Full Time course from a recognized / AICTE approved Indian University / Institute.